Safely store up to eighteen (18x) G/G2 high pressure gas cylinders in this gas bottle storage cage. 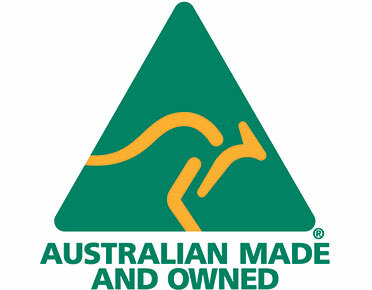 Suitable for storing eighteen (18x) G / G2 high pressure gas cylinders (260mm diameter G or G2 size). Doors are fitted with a magnetic latch and can be locked using the padlock lug (padlock not supplied). High pressure gas cage is fitted with cylinder chain restraints. 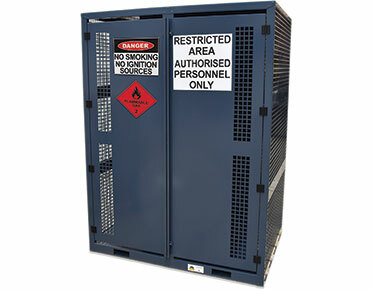 A prepacked set of warning and safety signs is included – the cage can be set up for storing either Class 2.1 Flammable Gases or Class 2.2 Non-flammable Gases. (Flammable gas signs include a DANGER NO SMOKING NO IGNITION SOURCES sign and a FLAMMABLE GAS 2 dangerous goods diamond. | Non-flammable signage includes a NON FLAMMABLE NON TOXIC GAS 2 and an OXIDISING GAS 2 dangerous goods diamond.) 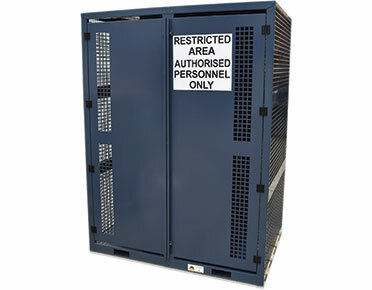 Due to its size, this cage is supplied with a RESTRICTED AREA AUTHORISED PERSONNEL ONLY sign affixed (regardless of gas storage type). High pressure gas bottle storage cage complies with the requirements of AS4332-2004 – The storage and handling of gases in cylinders.